Kigelia Camp is one Ruaha’s best camps for game-viewing, offering a truly wild yet luxurious experience. Far from the crowds, in the heart of unspoilt Africa, this remote eco-camp is the perfect spot from which to explore the beautiful Ruaha National Park. Kigelia Camp is set on the banks of the Ifuguru Sand River amongst thick bush, which allows great privacy and a fantastic viewing position. The presence of the camp is kept light and low-impact, and yet it’s very personal and the attention to detail is outstanding. 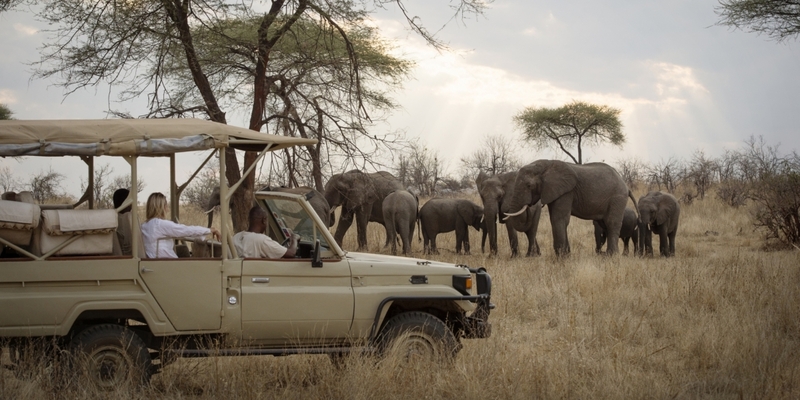 The best way to explore one of Africa’s biggest game spots is on a game drive in custom built open vehicles. Full day game drives with a packed lunch are excellent for exploring the park, but there’s good resident game very close to Kigelia Camp itself. 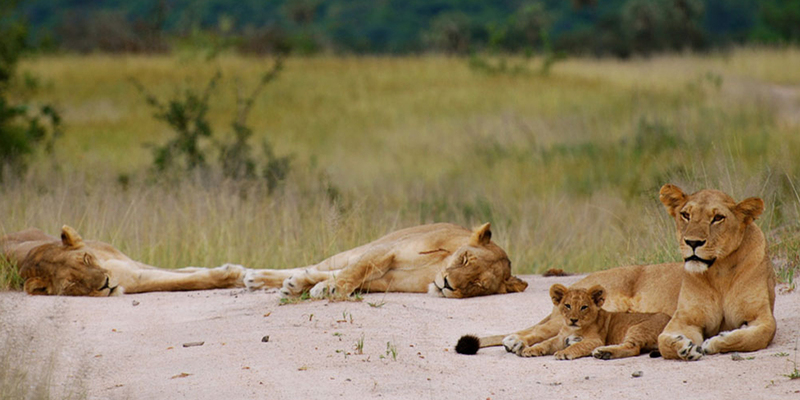 Early morning or late afternoon game drives allow guests to return to camp for lunch and a rest in the heat of the day. Elephants in huge numbers are a common sight; giraffe, zebra, antelope, and their predators - lions, leopard, cheetah and hyenas are all in the area close to camp. There can also be some fascinating sightings from the comfort of the tent’s private veranda with game frequently wandering through the camp. Between the drives, and in the company of a trained and experienced guide for safety, guests can also set off on foot. Walking safaris allow guests to appreciate the tranquillity and vastness of the African wilderness. Game drives and walks at Kigelia Camp are incredibly educational due to their highly-skilled and communicative guides, and guests will learn something new with almost every step. Guests can take a pair of binoculars on the guided walks to observe the huge selection of birdlife in the area. Night-time safaris can also be arranged whilst at Kigelia Camp. 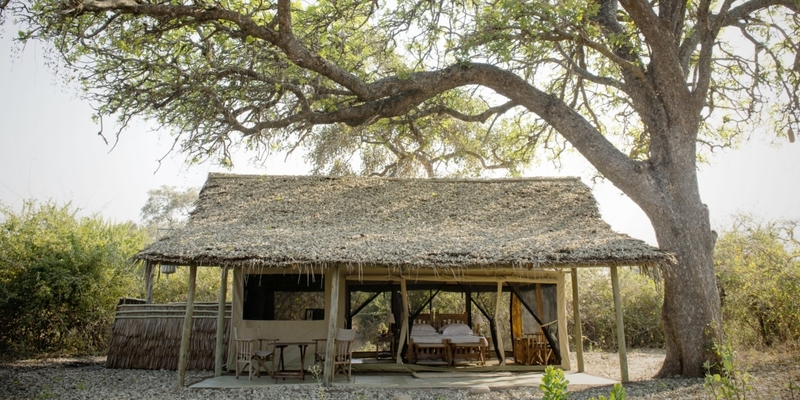 The six meru-style tents set beneath the shade of the Sausage Trees (Kigelia Africana) from which the camp takes its name, are spacious and charming. 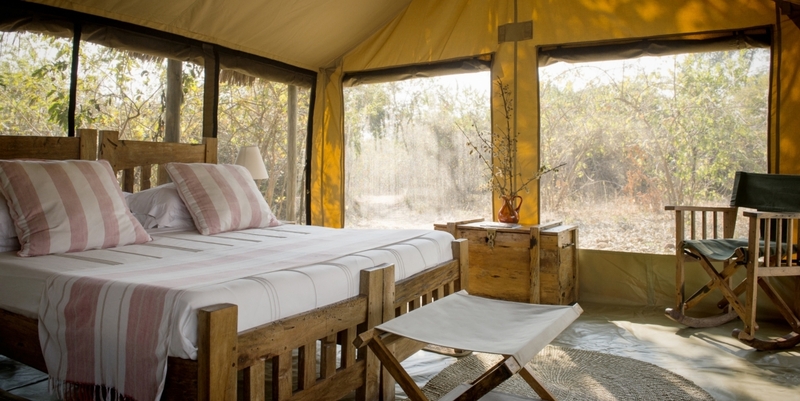 The tents are understated and rustic in appearance, but without compromising on the luxury. Well-furnished with locally crafted furniture, all feature an en-suite with safari-style bucket shower, solar lighting and a large veranda. 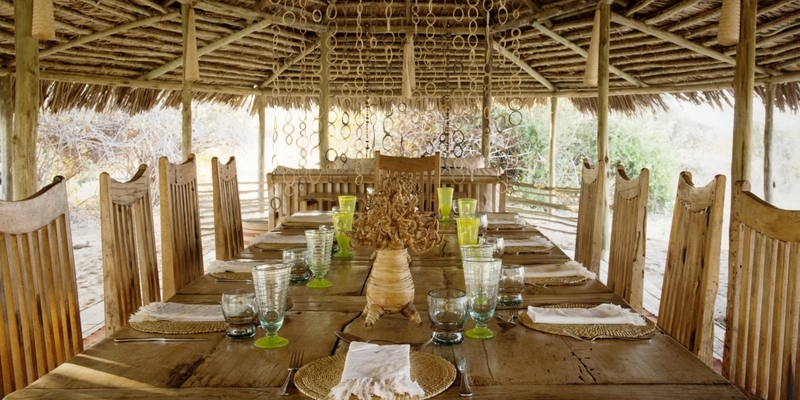 Each has a mokuti thatch roof to keep it cool during the hotter months. Like all bushcamps, there’s the essential sundowner time around the campfire after a full day of thrilling game viewing, where guests can unwind and relax on the edge of the riverbed. Meals are taken communally; the three-course dinner is served in the mess-like dining tent or, better still, under the stars. 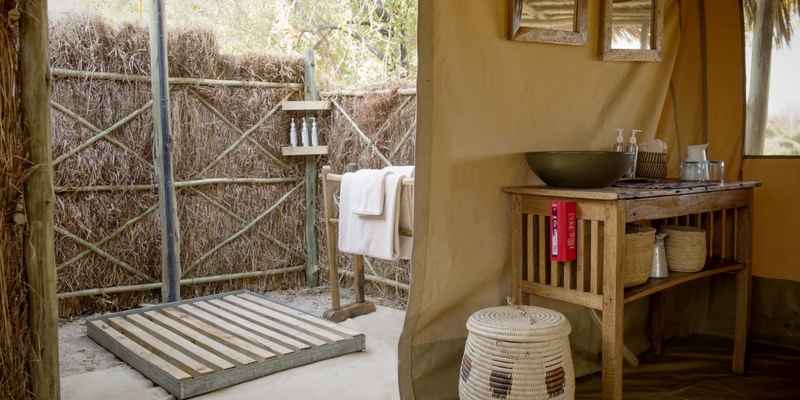 Kigelia Camp is seasonal, usually being set out in the park from June until March. Dar es Salaam Airport to Msembe Airstrip is approx. 2.5 hours and then a 45 minute drive to Kigelia Camp. The nearest neighbour is Mwagusi Camp , a 25 minute drive away.